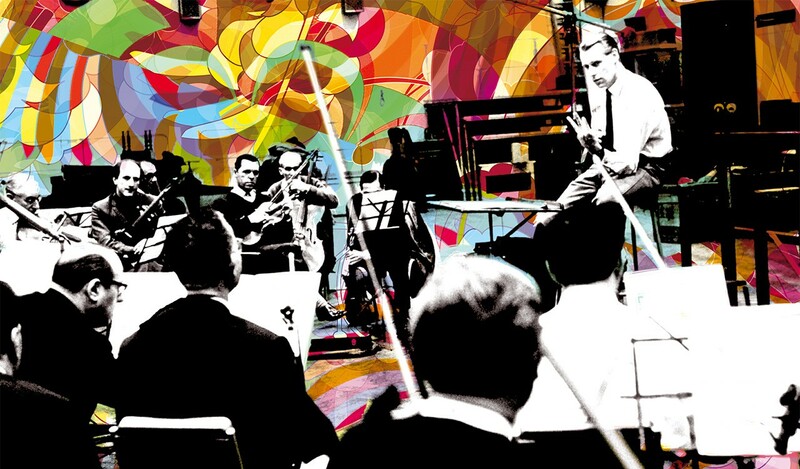 The summer of 1967 was the summer of love and psychedelia; its soundtrack was The Beatles' Sgt. 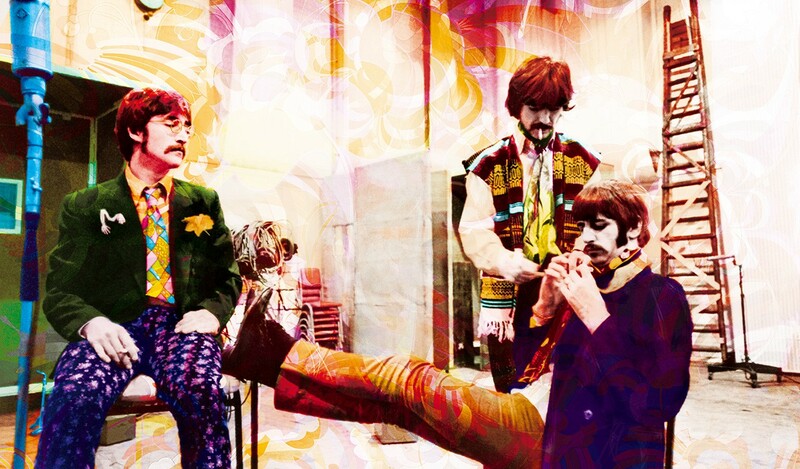 Pepper's Lonely Hearts Club Band, still regarded by many as the greatest album in modern music. 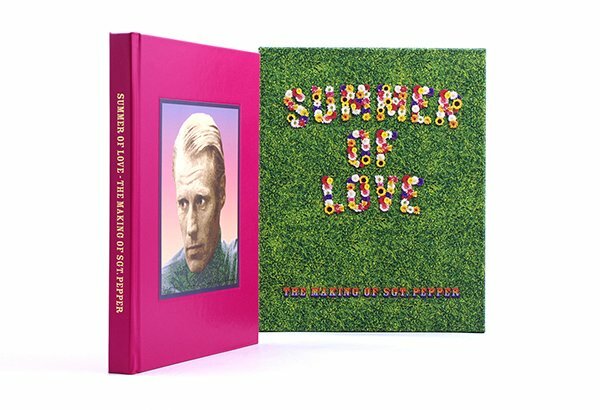 The limited edition book Summer of Love is George Martin's detailed account of the writing and recording of each song on the Sgt. 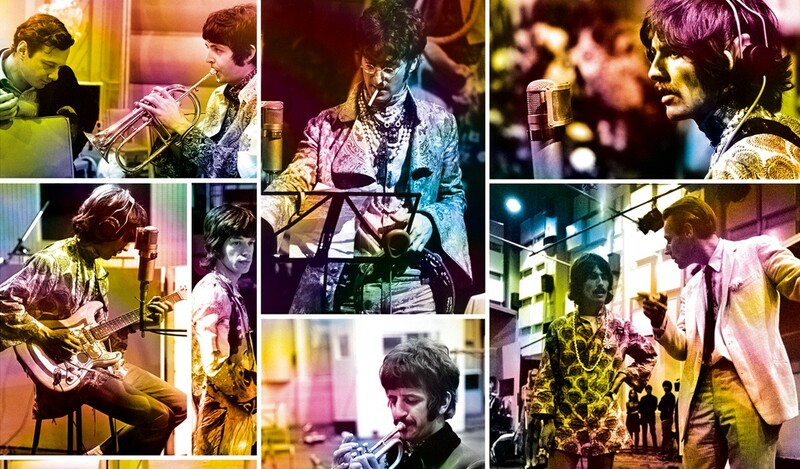 Pepper album – as well as 'Strawberry Fields', 'Penny Lane' and 'All You Need Is Love'. With an updated text, exquisite new artwork and photography throughout. 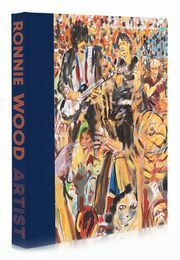 Summer of Love boasts a lavish leather binding and an original Introduction by Sir George, who is hand-signing every book. 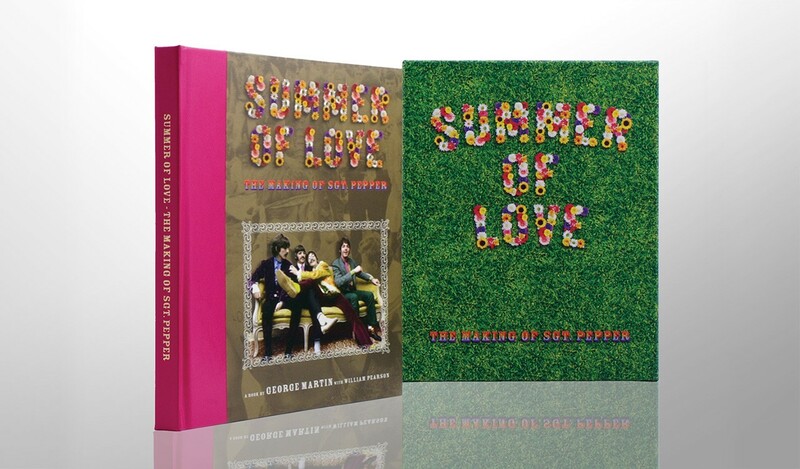 This large format collectors' edition of George Martin's Summer of Love is exquisitely illustrated throughout. 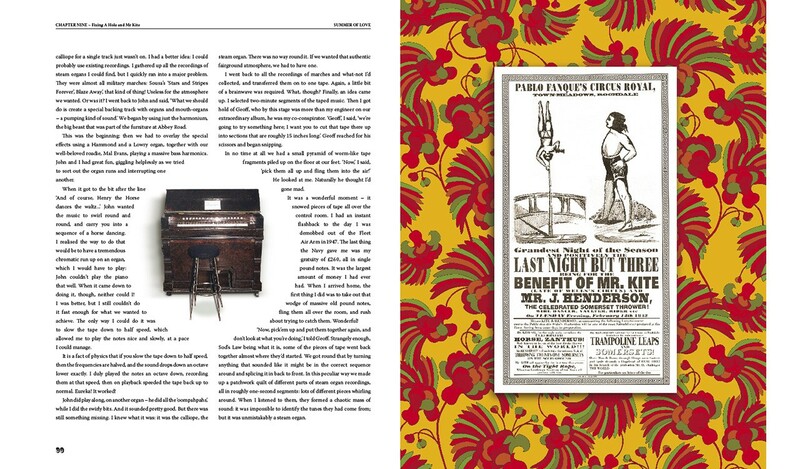 Over 130 images are printed onto 176 pages of heavyweight art paper. Photographs have been sourced from collections the world over. 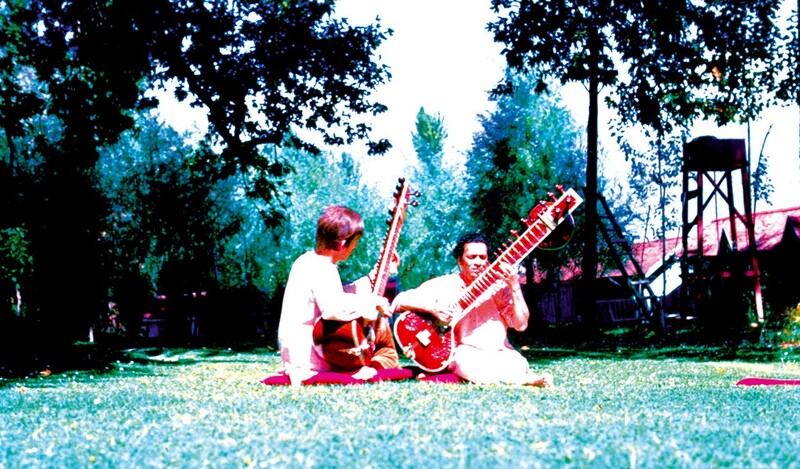 Many have been coloured and illustrated, capturing the spirit of invention and psychedelia in which Sgt. Pepper was born. 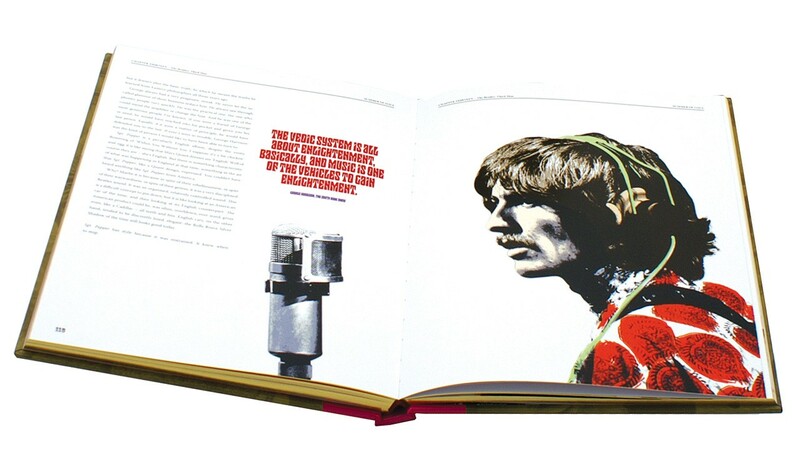 The result is one of the most visually stunning books Genesis has ever produced. 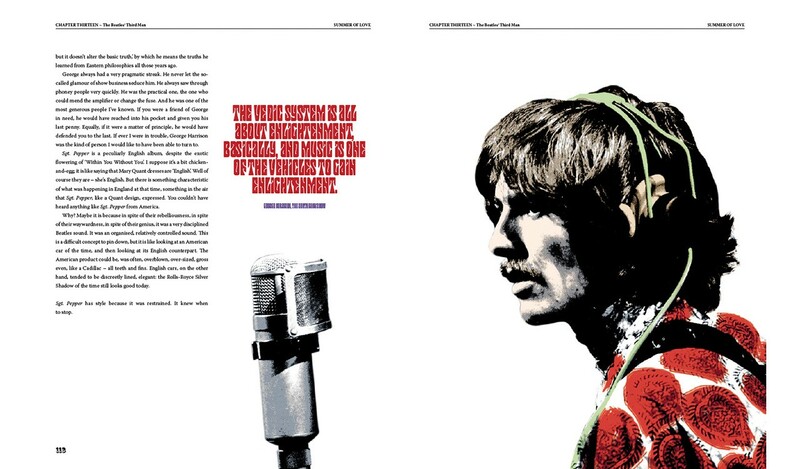 Summer of Love peeps behind the Abbey Road mixing desks for an insight into the art of the producer, telling George's stories behind The Beatles' modern masterpieces such as A Day In The Life. Taking his 1994 paperback, 'With A Little Help From My Friends' in the US, as his starting point, George has created a new and revised Summer of Love capturing the spirit and vitality of 1967. 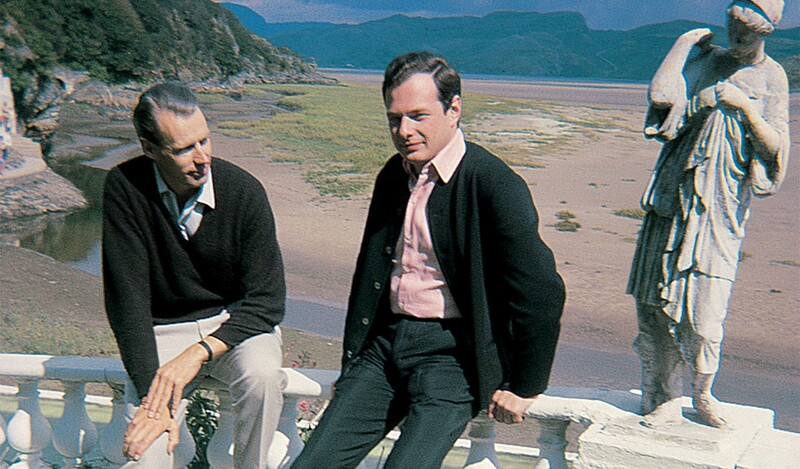 Sir George Martin was The Beatles producer on several albums including the soundtrack to 1967, The Beatles' Sgt. 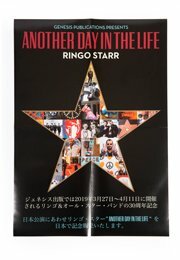 Pepper's Lonely Hearts Club Band - still regarded by many as the greatest album in modern music. 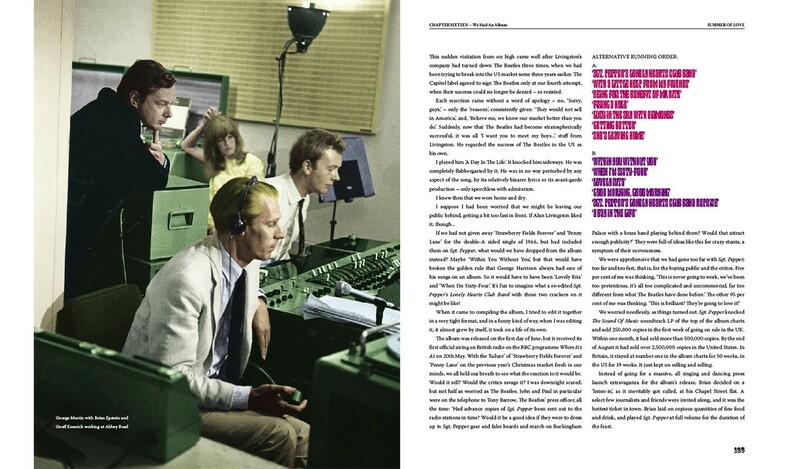 In Summer of Love, George Martin gives a detailed account of the recording of each song on Sgt. 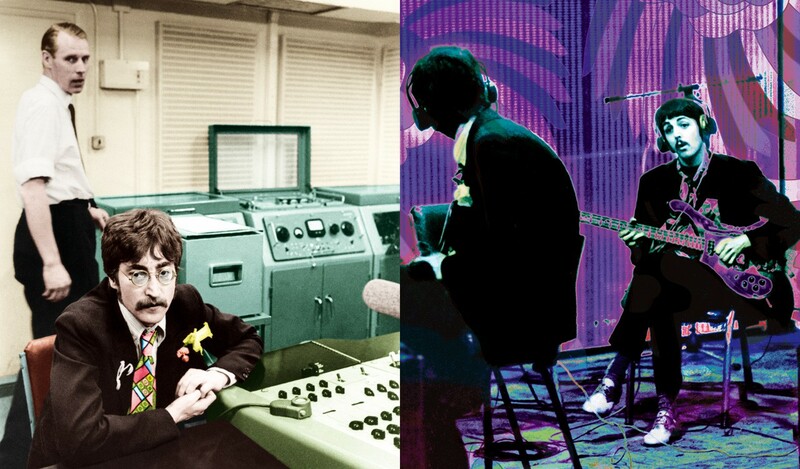 Pepper as well as its forebears and offspring - 'Strawberry Fields' and 'Penny Lane' to 'All You Need is Love' and Magical Mystery Tour. 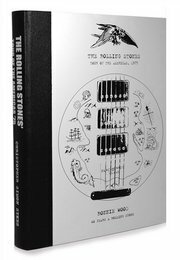 George Martin's limited edition is beautifully bound in fine grain leather, with gold-blocked lettering on the spine and gilded page edging. A stunning example of artisan bookbinding, protected in a vibrantly screen-printed box. 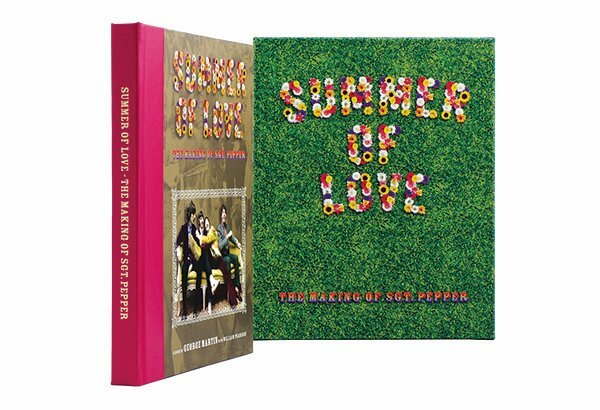 Exquisitely illustrated with original artwork and rare material throughout, and in a lavish binding, Summer of Love's breathtaking new design captures the spirit an vitality of 1967 and features new text, a timeline of Beatles recordings and a brand new introduction by Sir George Martin. 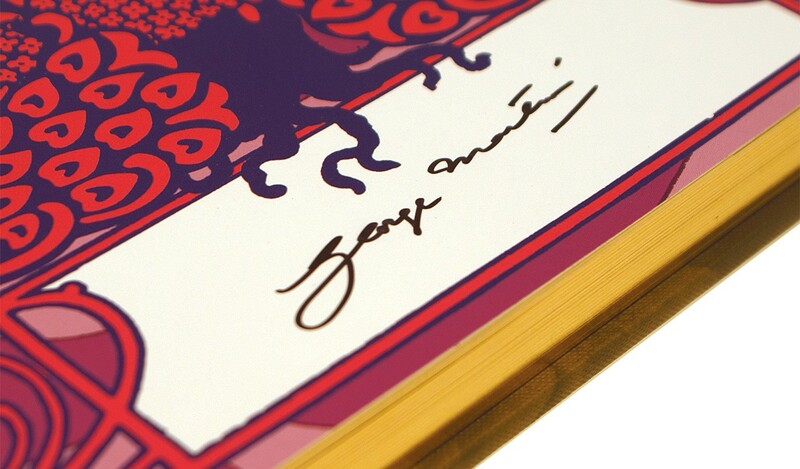 Each book in the edition is numbered and signed by George Martin. 1/4 Leather, Printed Imitlin, Gold tooling, Gold Page Edging. 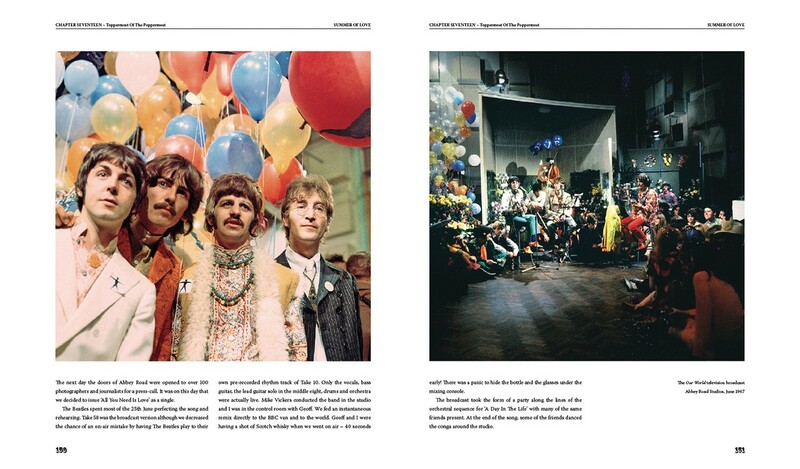 George Martin's illustrated book of The Making of Sgt Pepper, as a signed limited edition. Full Pink Leather, Inset Photograph, Gold Tooling, Gold Page Edging.